White Peony is the most famous of China's White teas. In producing this tea, the youngest buds are taken from tea bushes, along with the two surrounding young leaves. The addition of the young leaves, combined with the slightly more rigorous production process give White Peony a fuller flavour than Silver Needle which is produced from only the buds. 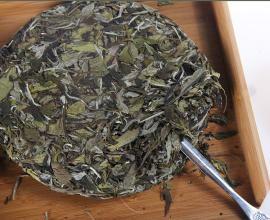 Many of the physical properties of White tea are only really starting to be recognised. This is also true with the understanding of how long White tea can be kept for. White tea can actually be stored for many years, 5 years to even 40 years! Through time, White teas slowly oxidises naturally. This process of slow natural oxidisation gradually matures the tea. Unlike other types of teas that deteriorate or decompose with time, White tea quite amazingly matures by itself, having had no treatment to help preserve it, compared to the likes of Puer tea. 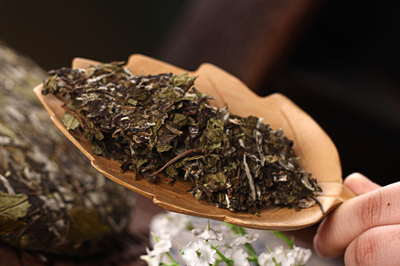 One distinct characteristic of aged White tea is the fragrance. It is quite unbelievable how rich and fruitful a 10 or even more so a 20 year White tea smells. The taste is even so much fuller, with a subtle soothing aftertaste. Therefore if you store your White teas in the correct ways: in glass or tin jars, sealed away from odours, then you have a good chance of experiencing the beauty of aged White teas. 1. Suitable for brewing in a Gaiwan, flask or an earthenware teapot. 2. Firstly warm the teaware by rinsing it with hot water. 3. Put 5-7 grams of tea leaves per 100-120 ml of water. 4. Brew the leaves with hot water 75 - 85 degrees. This temperature can be achieved by waiting 30 seconds after boiling. 5. The first brew shouldn't be drunk as it is designed to rinse the leaves and reduce astringency. The first steep can be made after 15 seconds. 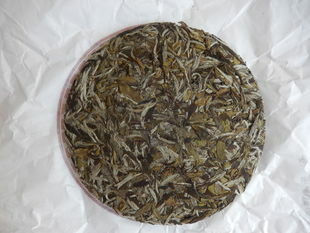 White tea, following suit after Pu'er tea, is now massively produced and sold in the form of compressed cake. This has become a fashion quite recently. Compared to tradtional white tea in loose leaves, white tea cake is easier to transport, store and more presentable as gift.